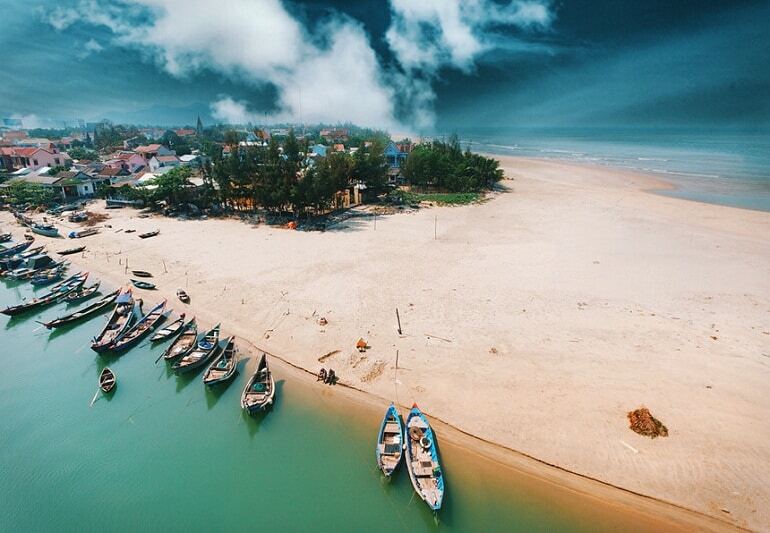 Rom Island is one of the best tourist destinations in Mui Ne (Mũi Né), Phan Thiet (Phan Thiết), Vietnam (Việt Nam). It is not a remote island but a small wild mountain which is located in Long Son hamlet, Mui Ne Ward, Phan Thiet city. Due to Rom Island is just recently introduced to tourism exploitation; its scenes still retain their natural beauty. Therefore, upon visiting this island, you will surely have an unforgettable trip. What Is The Best Time To Visit Rom Island? Rom Island has a hot climate all year round, which is much windy and less stormy so you can come here at any time. The weather in December and January is cooler than in other months of the year. April and May are the hottest months of the year. During these months, the heat sometimes hits to 29 degrees Celsius. 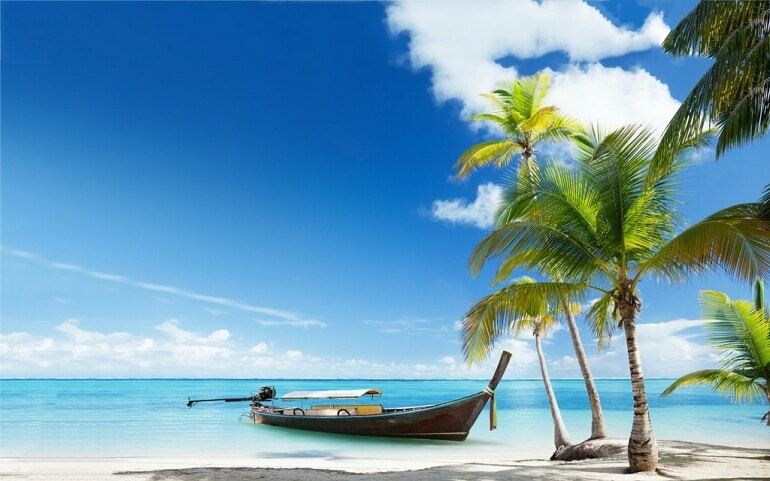 From April to August, this period is considered the best time to travel Mui Ne because the sea is very green, clear and cool. However, there is lots of rain in September on Rom Island. Thus, you ought to consider visiting this island in the other months. How To Get To Rom Island? Rom Island is located in Long Son (Long Sơn), Mui Ne, Phan Thiet city, Binh Thuan province, which is about 210 km from Saigon. Mui Ne has a lot of resorts and hotels. 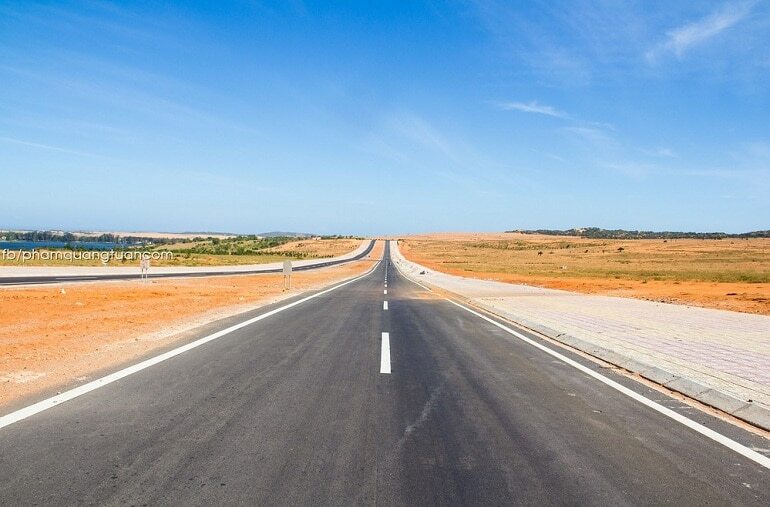 From Phan Thiet city center, you need to go further 12 km to reach Mui Ne. If you from the faraway provinces such as Hanoi, Hai Phong, Hue, the best way to get to Phan Thiet is to fly to Ho Chi Minh City and then move to Phan Thiet by coach, trains, or personal vehicles like a motorbike. To move from Saigon to Mui Ne, Phan Thiet, you can choose some of the coach drivers as follows. Office in Ho Chi Minh City: Mien Dong Bus Station (Bến Xe Miền Đông) – 292 Dinh Bo Linh (Đường Đinh Bộ Lĩnh), Ward 26 (Phường 26), Binh Thanh District (Quận Bình Thạnh). Address: Mien Dong Bus Station, 292 Dinh Bo Linh, Ward 26, Binh Thanh Dictrict, Ho Chi Minh City. Address in Mui Ne: 144 Nguyen Dinh Chieu Street (Đường Nguyễn Đình Chiểu), Ham Tien Ward (Phường Hàm Tiến), Phan Thiet City. You can take the Five-Star SPT2 train to go from Ho Chi Minh City to Phan Thiet City. The time it takes from you to go by train from Ho Chi Minh City to Phan Thiet is equal to that of a coach (about 4 hours). Ticket price is 137.000 – 187.000 VND / ticket, which depends on the type of seat. If you depart from Hanoi, you can also take the North-South train with code SE7, TN1. The journey will last about 30 hours, with the price ranging from 600.000 – 1.400.000 VND / ticket. Where To Stay In Rom Island? Rom Island is famous for having many resorts and hotels, so it will be very easy for you to find a place to rest after a long day of fun. 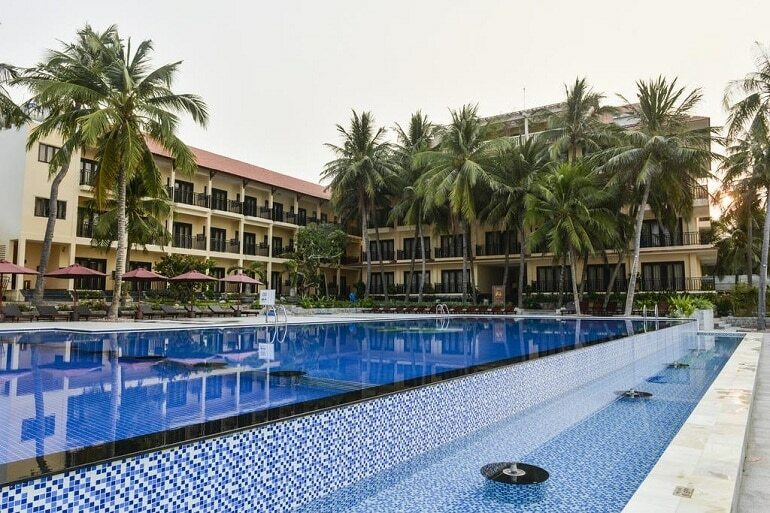 Saigon Emerald Resort: Saigon Emerald Resort is located on the beach and about 2.5 km from Rom Island. The hotel has 65 well-equipped rooms, so visitors can enjoy numerous benefits of this luxury resort. Resort Hon Rom 1: Hon Rom 1 is about 5 km from Rom Island. You can travel by motorboats and explore the large, well-designed beach. Nang Hon Rom Resort: 706B Long Son Street (Đường Long Sơn), Mui Ne, Phan Thiet, which is about 300m from Rom Island. Hon Rom 2 Tourist Area: Group 2, Long Son Quarter, Mui Ne Ward, Mui Ne, Phan Thiet. In case you are a fan of backpacking traveling, camping activities are a good option for you to do on Rom Island. You can rent a camp in the surrounding area and then have a very fun camping on the coast. Price for renting a tent is about 15.000-25.000 VND / person / night, communal house is 120.000 VND / person / night. What Are Attractions In Rom Island? Rom Island is like a haystack. Due to having been introduced to tourism recently, the scenic attractions on Rom Island still retain their original beauty of nature. While the southwestern coast of Rom Island is a beautiful stretch of sandy beach, the east one has rocks with various shapes that are fluttered by waves. Rom Island is the leading tourist destination in Phan Thiet thanks to famous beaches, which are Rom Island 1, Rom Island 2, and Thuy Trang. These beaches always attract tourists to go to have bathing and relaxing. 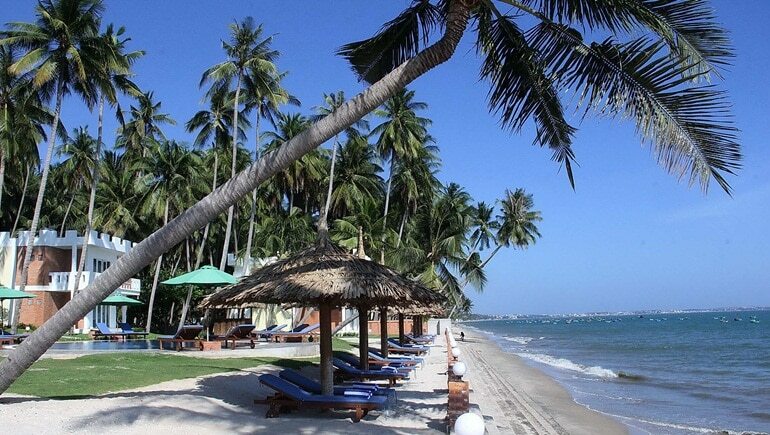 With a smoothly stretching beach, Rom Island has become a popular tourist destination in Mui Ne. In addition to swimming, visitors here can challenge themselves with exciting beach sports activities such as sand-sliding, jet skiing, or paragliding. What is special about Rom Island is that there is no reef. You will not have to worry about the safety of yourself and your family when participating in the games here. After hours of fun, you can sit on the sand, enjoy delicious fresh seafood, and admire the beautiful sunset on the beach. In the evening, visitors will have the opportunity to focus on the campfire and share a fun time together. If you want more adventure travel, you can go offshore with local fishermen. You will have the opportunity to personally catch fish and enjoy the feeling of being a real fisherman. What To Eat In Rom Island? 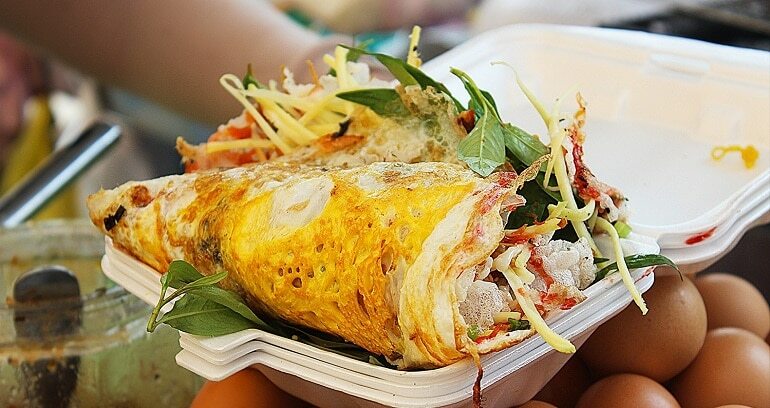 The food in Rom Island is varied and rich, which is mainly fresh seafood. Local seafood is extremely fresh and price is very cheap. You can rent boats to the beach to catch or buy seafood from the early market on the coast. The restaurants in Rom Island have plenty of dish choices at reasonable prices. You can eat in the hotel and restaurants or rent a stove to cook seafood on the beach. After reading all essential information to have the best trip in Rom Island, hope that you can plan your trip right away without trouble. If you choose Rom Island as a destination for your next holiday, share your experience with us by leaving below this post. We always welcome your opinions.